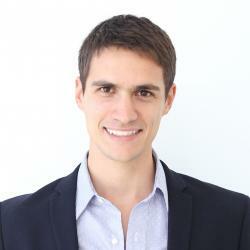 Fernando is currently in charge of Strategic Partnerships at Making Sense. He is also a sax player and jazz lover. Find him on Twitter and LinkedIn! How are you dealing with modernization? Here are some guiding principles to help you create a blueprint for success as you edge closer to a cloud-based future. Digital Transformation is a process. Even the world’s top adopters never consider the process complete and are constantly on the lookout for better ways to do things. Blockchain is growing up fast, and way beyond Bitcoin. It seems that every industry could use the technology, but here’s where we see the most potential. With a dream panel and a great group of attendees, Making Sense Meetup #3 tackles scalability after the lunch of your Minimum Viable Product. The Minimum Viable Product is one of the most-often confused concepts in development. Here’s what you should know so you don’t make the three most common MVP mistakes. A partnership in healthcare leads to new software for patient-doctor communication. Designed to guide our clients during the early stages, it helps define the scope of the product and the terms of the project. When it comes to mobile development, ensuring that users are engaged with the application is essential. Several events take place in Silicon Valley throughout the year, and this past month, I was able to attend my very first one: The GSV Pioneer Summit. On September 9, Apple executives took to the stage to make a few big announcements, including the unveiling of the iPhone 6s and the iPad Pro.